Or both? As Roman Polanski easily proved, visionary film makers can certainly be evil. Or at least devilishly provocative like Von Trier, who was physically kicked out of the Cannes Festival (though his new film, MELANCHOLIA, remains in competition) for “joking” about being a Nazi. Coincidental to all of the breathless news out of France about this controversial director, I just recently watched his 1991 masterpiece EUROPA, which took home three awards at Cannes that year (Best Artistic Contribution, the Jury Prize and the Technical Grand Prize), but came up short of winning the Palm d’Or (which was taken by the Coen Bros’ BARTON FINK… really). What a difference a decade makes. EUROPA was my first taste of the director’s work, and I was highly impressed by his technical execution and compelling characters. I confess to never giving much thought to the realities of post WWII Germany, and Von Trier tells his stunning story with arresting visuals and dramatic sound design. And just prior to posting this, I decided to take in Von Trier’s most recent, ANTICHRIST (2009), which was also nominated for the Palm d’Or that year. I will admit to being put off by the reviews and the press when it came out, so it went on my “see on dvd” list. I’m sorry I waited and missed it on the big screen, as the photography in this film is phenomenal and the sound is immersive. And even though it is rightfully notorious for a couple of extremely graphic and disturbing moments, it is a helluva thriller that utilizes some of the most effective scare tactics from the “lonely cabin in the woods” theme. Mr. Ridlely, you should love the film just for that! But there’s something going on with Von Trier that troubles me, and it centers around this website’s favorite bugaboo, mind control. EUROPA starts off with a sincere effort to “hypnotize” its audience: a soothingly abstract visual of a train moving over its tracks at night, accompanied by a monotone voice inviting the listener to go deeper. I chose to turn away from the mesmerizing images during this section. Because the story deals with mind control, I was willing to let it go as merely specific to this film. And then I noticed some similar qualities in ANTICHRIST. In this case, Willem Dafoe’s character, a therapist, actually uses hypnotism on his severely depressed wife, who’s struggling to cope with the loss of their young son. Perhaps some in the audience go along for the ride. Von Trier is certainly a visionary, and a master of tense cinematic moments. But what is he really trying to accomplish with the art? Nice! 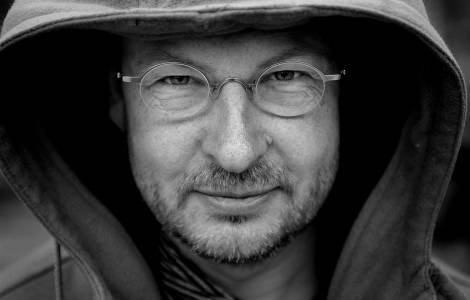 Very timely article after Von Trier’s bizarre rambling, nonsensical press conference. I’ve skipped his stuff in the past, especially the Dogme 95 stuff, but I’ll have to check out the films you’ve listed. And there’s a big PEEKABOO at the 1:27 mark of the Antichrist trailer. Thanks. I should have added that the opening sequence of ANTICHRIST, the “prologue” as it’s labeled, is one of the more remarkably poetic and poignant sequences I’ve seen in a while, an extra-slow motion scene set to a soaring operatic score that more effectively sets the tone and drive for the rest of the film than any dialogue could have accomplished. Quite a feat. And with regards to the Slate article, I’d have to disagree about the “passivity” of the female character in ANTICHRIST.